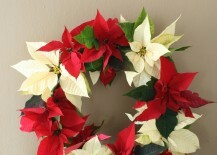 Poinsettias are the most common type of flower to display around the holiday season. 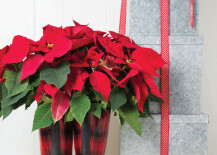 Even when you don’t have very much holiday decor, these flowers alone can really help dress the place up. 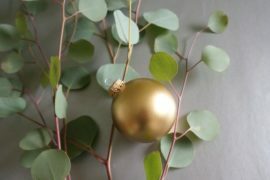 And the best part is that they come in all sorts of different shades — from burgundy red and bright orange to soft pink and creamy white. 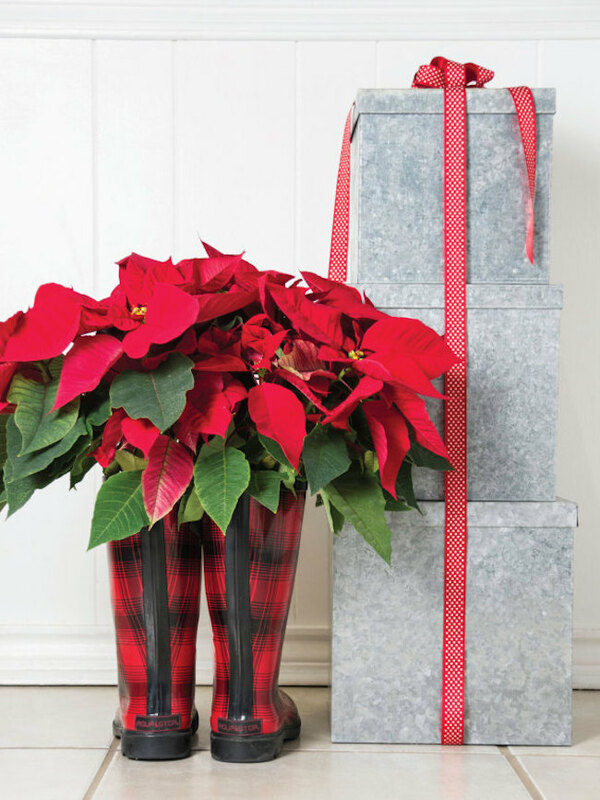 While poinsettias already look stunning no matter what you do with them, displaying them differently is a great way to emphasize your love for the holidays. 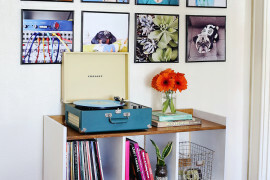 Here are a few great ideas to take a look at. 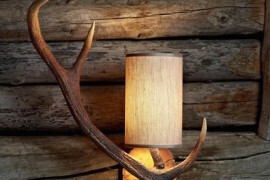 Got a pair of old boots lying around? 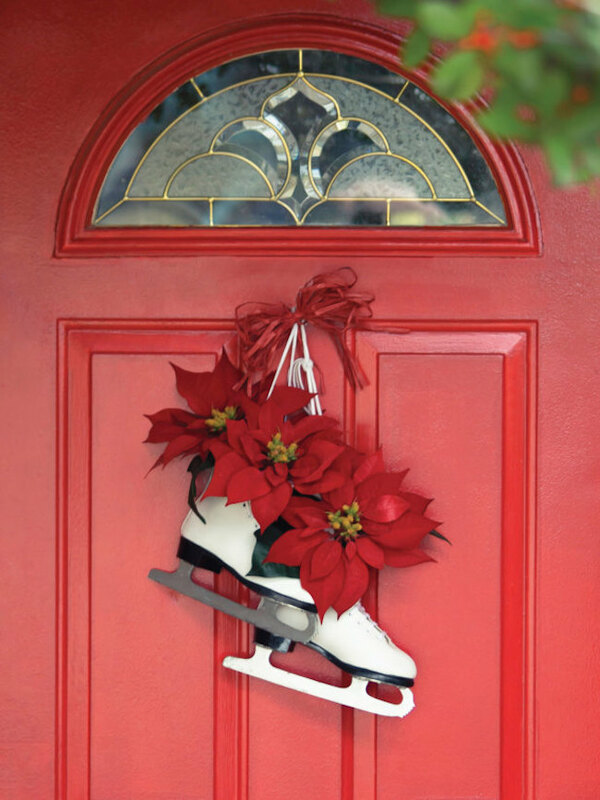 Or how about some skates? 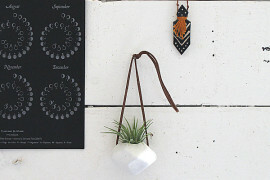 Talk about a super unique way to display flowers! 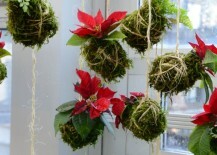 Check out these adorable examples below that were featured on HGTV Gardens. 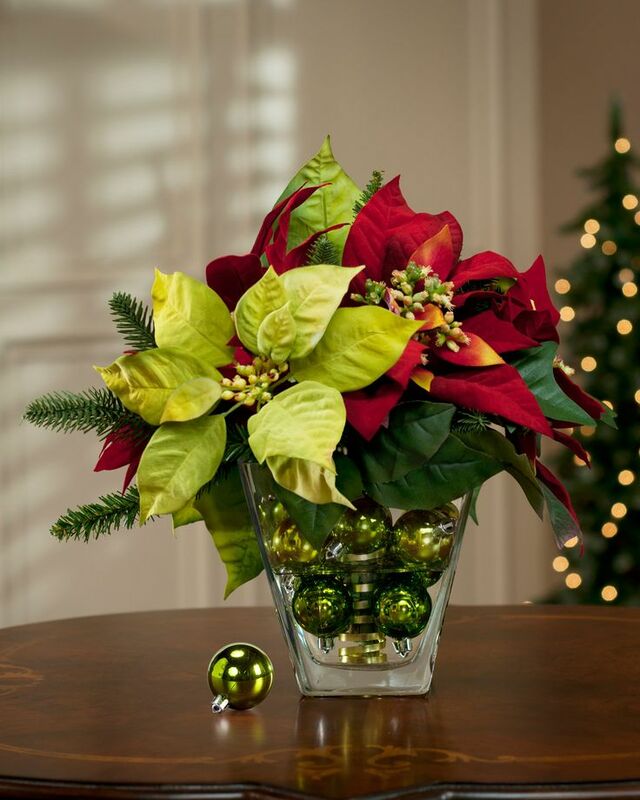 Poinsettias are typically sold in medium or large planters, so it’s not as common to see a single flower displayed somewhere around a home. 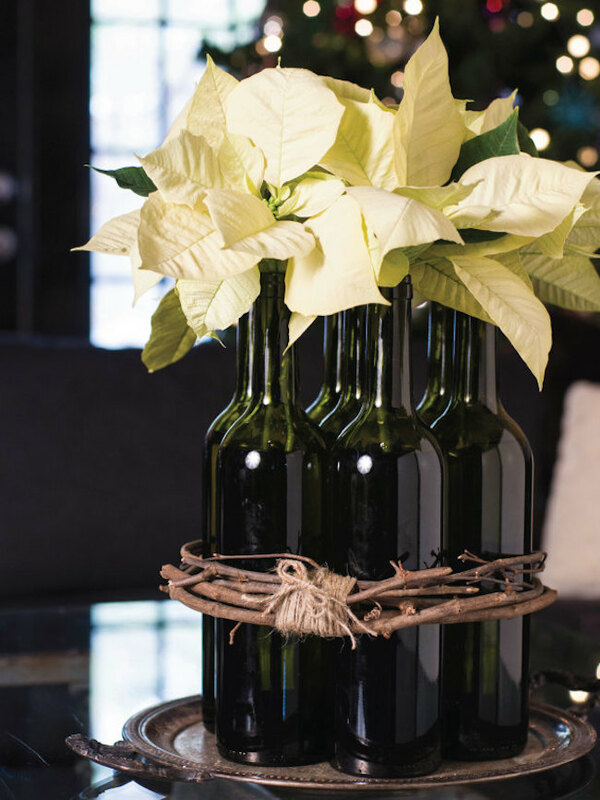 If you’re fine with snipping a few individual flowers off, you can try displaying them in a way that elongates their stems at the same time. 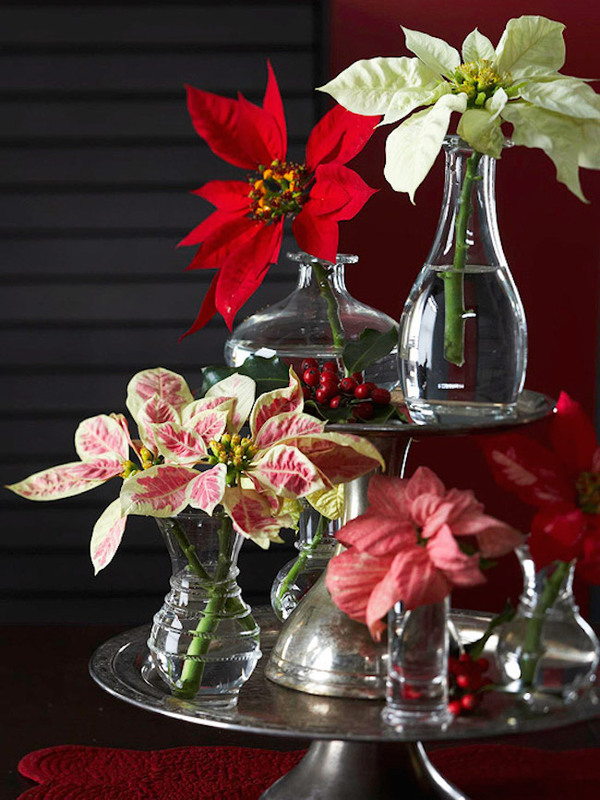 These poinsettias from Holiday with Matthew Mead have their stems hidden by some twigs tied together, while BHG shows how to display them with some delicate glass vases. 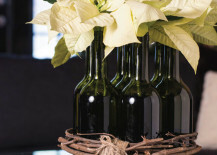 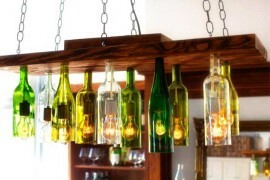 HGTV Gardens featured this clever idea of reusing old wine bottles for displaying poinsettias. 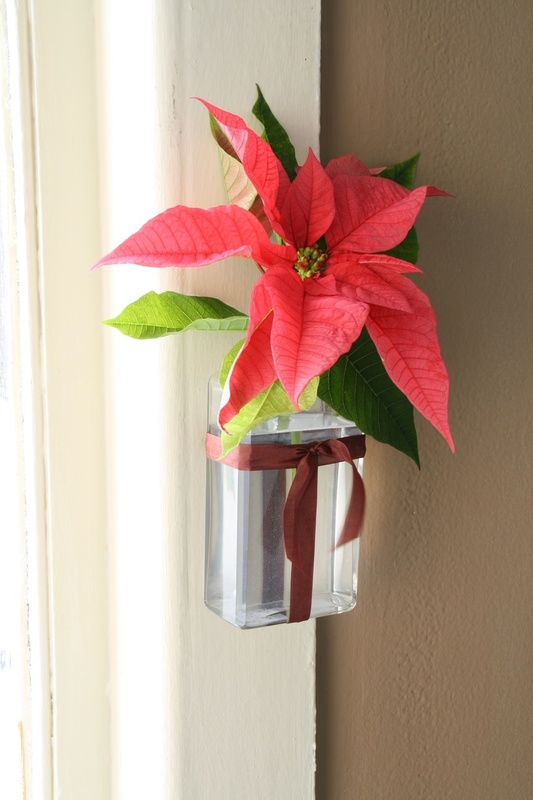 Taking unique flower display ideas to a new level, Holiday with Matthew Mead shows how you can place a single poinsettia flower in an old plastic soap dispenser attached to a wall. 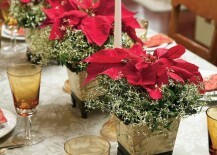 As another option, you can take multiple flowers placed in individual glasses of water and display them on a tiered tray. 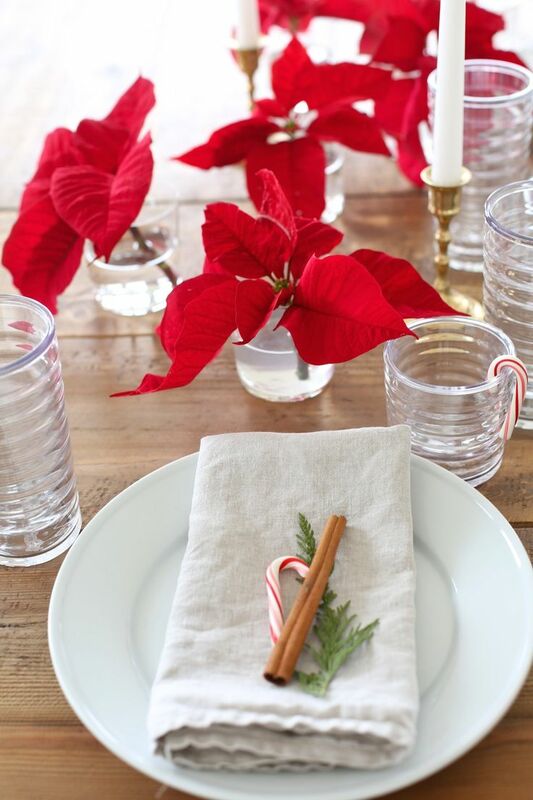 What a great centerpiece idea! 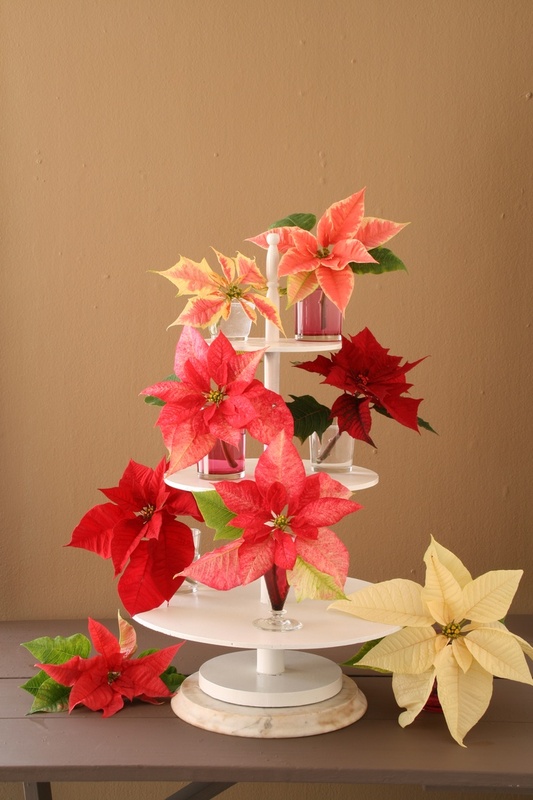 Speaking of centerpieces, House Beautiful shows an example that’s somewhat similar to the last idea — but without the tiered tray. 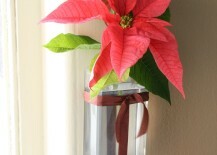 Simply place individual poinsettia flowers in small glasses of water and scatter them throughout the center of the table. 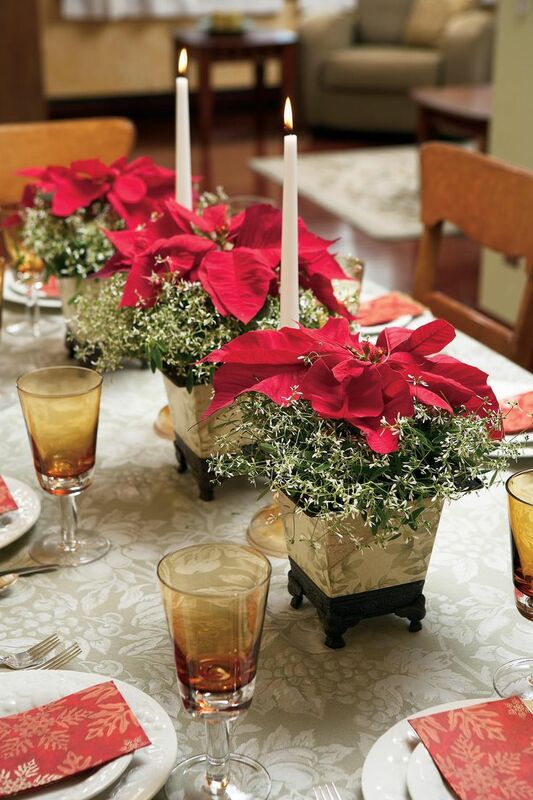 Proven Winners shows how you can combine poinsettias and candlesticks for a beautiful, candlelit holiday dinner! 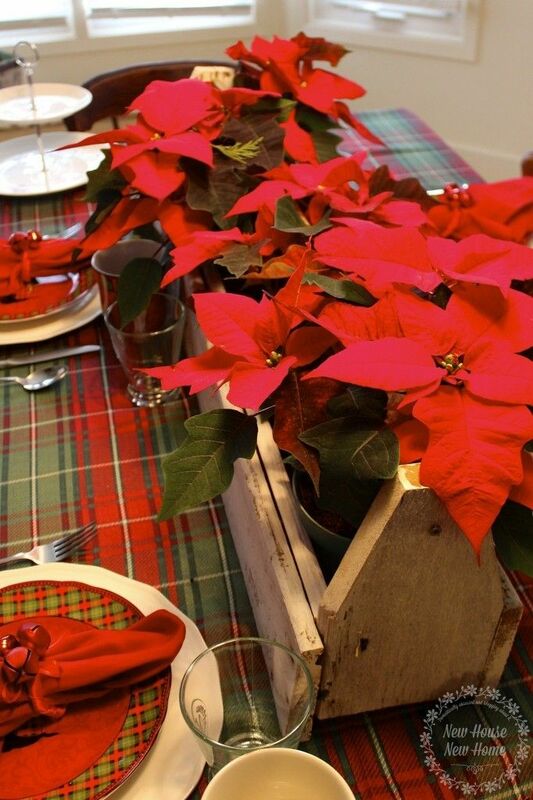 For a rustic tablescape look, take a wooden flower box and use it to display your poinsettias in the middle of the table, like this fantastic example from New House, New Home, New Life. 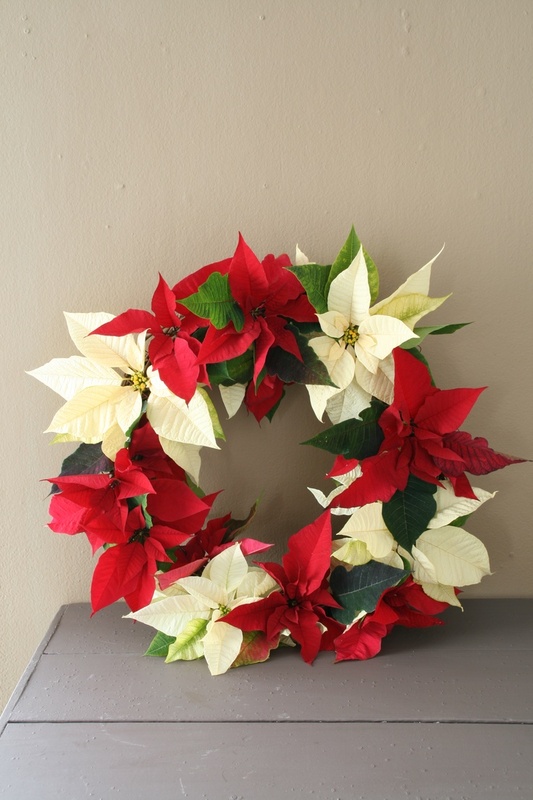 You can certainly do some interesting DIY projects with poinsettias, although you may want to opt for fake flowers if they’re not going to get any access to soil and water. 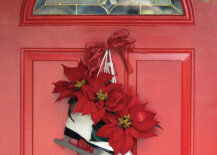 This wreath, for example (again from Holiday with Matthew Mead), would make a great holiday craft project. 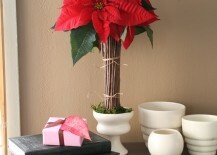 If you do decide to go for fake flowers, you have more flexibility with the planters. 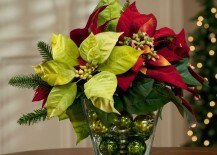 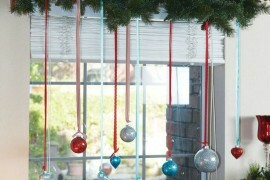 Petals has an arrangement in a glass vase filled with beautiful Christmas ball ornaments. 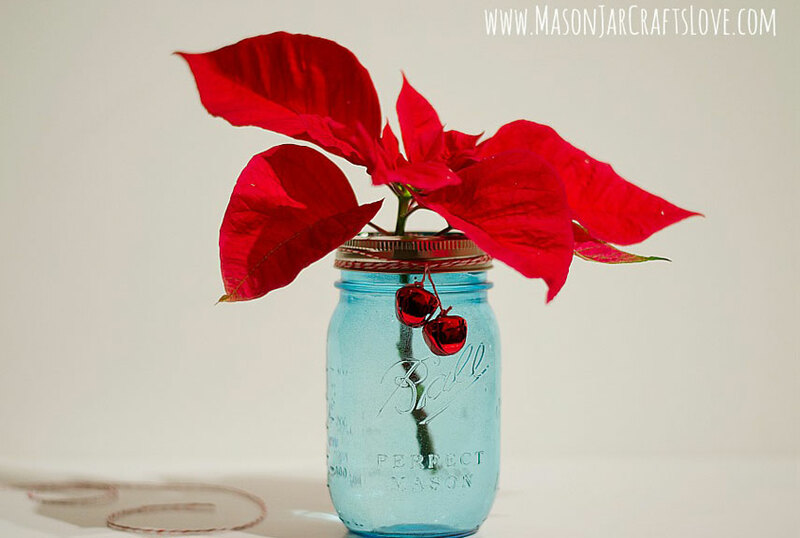 For those who want to stick with the real thing, you could try dressing up some mason jars filled with water, like this simple little DIY example from Country Living that has some red bells tied around it. 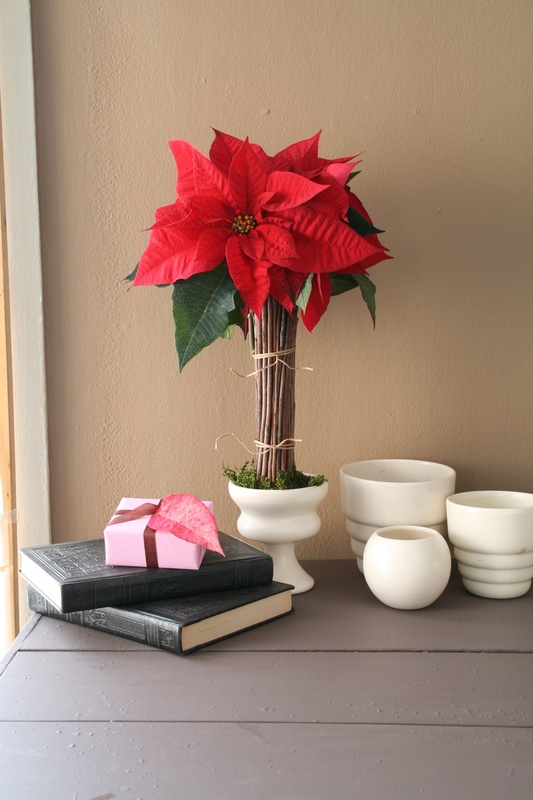 Did you ever think you could turn a real poinsettia flower into a Christmas ornament? 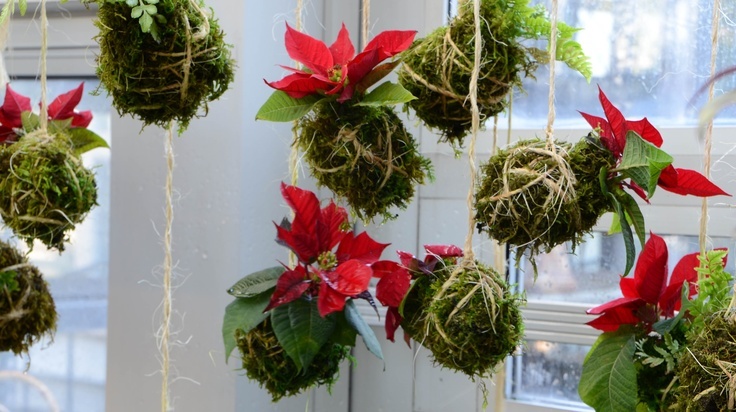 FP Conservatory did it with these assorted balls of ferns, peperomia, and of course poinsettia. 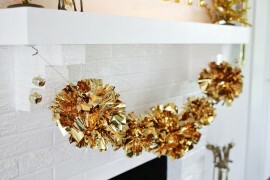 If you have kids, then they may really love this next idea from Club Chica Circle. 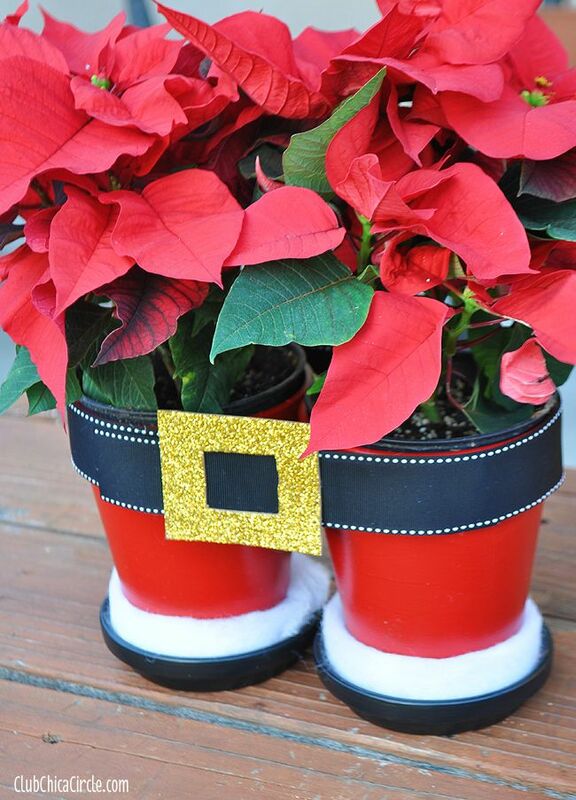 Turn a couple of regular round planters into Santa’s pants! 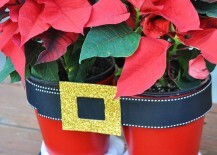 The belt and buckle both put the finishing touch on them and hold the two pant legs together. 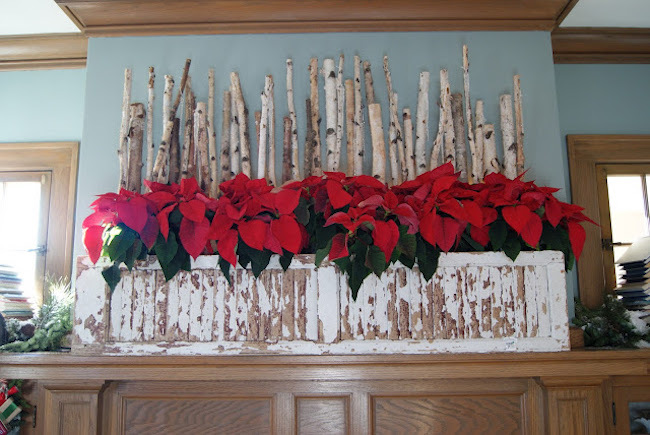 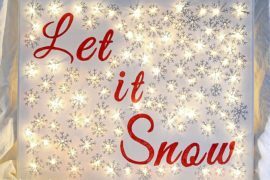 The fireplace is one of the main areas of a home that often gets decorated for the holidays — and you can get pretty creative with incorporating poinsettias in there too. 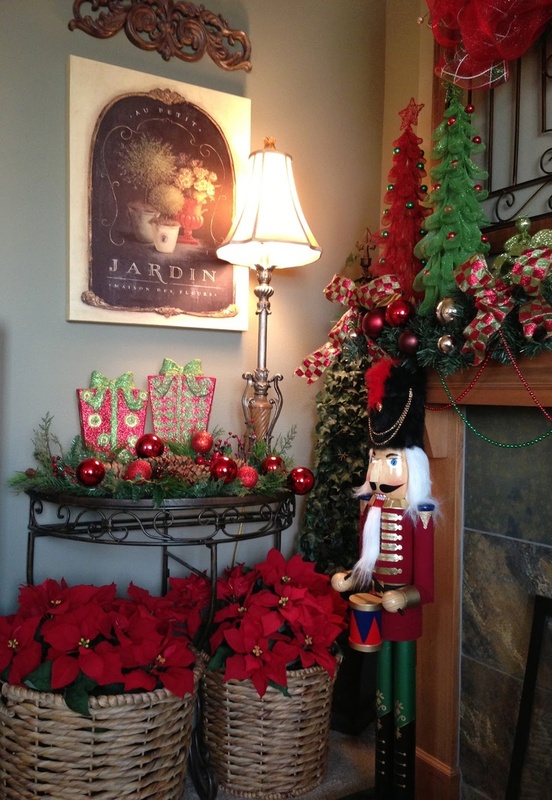 Nest Full of Eggs features a very rustic display box of poinsettias on the mantel, while Savvy Seasons simply places them in big wicker baskets beneath a side table right next to the fireplace. 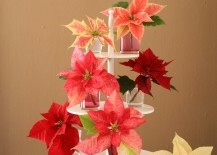 What’s the holidays without some poinsettias? 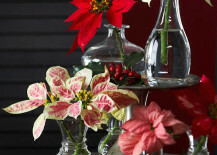 You can’t really go wrong when you bring these gorgeous flowers into your home around this special time of year.